Attack of the Clones might be the most frustrating Star Wars movie of them all. Sure, Return of the Jedi was a bit too cuddly, and The Phantom Menace is boring, and Revenge of the Sith is basically a 90’s FMV video game, but the real stinker in the Star Wars line up has to be Attack of the Clones. The production was the most troubled Lucas had since the original Star Wars. Locked into a May, 2002 deadline, Lucas was approving toys and character models before ever sitting down to pen the first draft. By the time he finished the first draft it was time to shoot and there was no time left for rewrites, tweaks, edits and changes to the basic story. Even John Williams was forced to reuse parts of the Episode I score because there wasn’t enough time to work on it. Sometimes movies that are rushed turn into surprise masterpieces. Sometimes Star Wars Episode II happens. 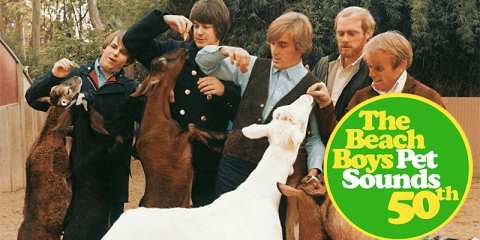 As a result of its hurried production, it became a movie that makes no sense, meanders when it should move, tells when it should show and shows when it should leave well enough alone. I remember the excitement behind this movie as it was preparing to release into theaters. 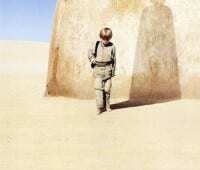 Mostly everyone by then had come to terms with The Phantom Menace being a disappointment but the belief was that Episode I was a necessary evil that had the unenviable task of setting the stage for a six-movie story where the final three chapters had already been written. 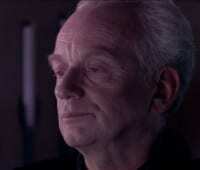 Most assumed that Episode II would be better if Jar Jar was reduced and because Anakin was now a Jedi. As it turned out Jar Jar’s role was greatly reduced, and Anakin was a Jedi, but the movie wasn’t necessarily better. It was different and it might have done some things better than Episode I, but overall it just wasn’t that much better. 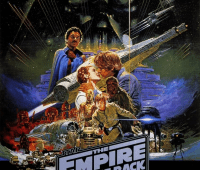 A lot of the problems people had with Episode I (namely the drama suffering from cheesy acting, and the humor being elementary school-level) were still present, and in fact the drama was even worse with even worse acting, and the humor was even worse with even worse grade-school humor. The new movie fixed one major problem from the first prequel: The middle of the film had something going on, so you weren’t bored to tears the way you were watching Anakin and Jar Jar wade through literal crap on Tatooine. The problem was the middle of the film is where the whole plot unravels and where it becomes obvious the film needed another six months of rewrites. The basic plot involves a basic plot to kill Padme. Until it doesn’t anymore. Killing Padme stops being important about half an hour into the movie and it instead becomes a story about a mysterious now-dead Jedi (whom we never see and never saw) that apparently ordered the creation of a clone army. That’s Obi Wan’s story. Details to help the audience understand the plot are kept from us, presumably to keep it a mystery, but those hidden secrets are never fully revealed or explained. Important elements are gone and forgotten by the time we reach Episode III. We’re just told certain things and expected to take them at face value. That works when you’re hastily trying to summarize a movie to a buddy, but it doesn’t work when you are trying to actually make a movie. 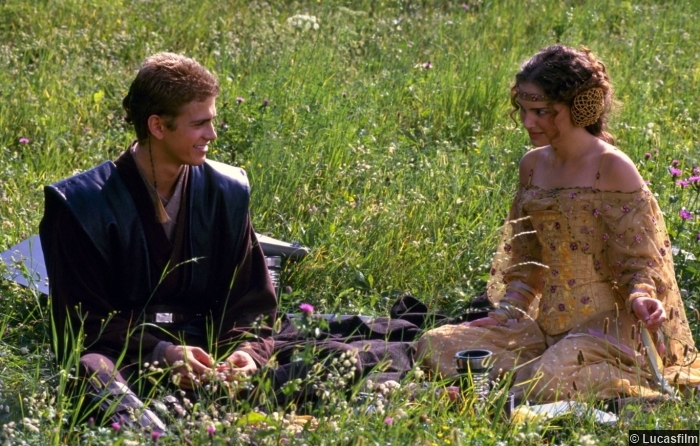 Anakin’s story follows he and Padme to Naboo and eventually to Tatooine where they “fall in love” according to the needs of the Star Wars saga. Unfortunately there isn’t one single moment that implies those two core characters ever are “in love.” At least not until Padme suddenly says she loves Anakin just when they think they are about to die. Nothing that came before that gives any indication that she thought of him as anything more than a young, sad, helpless teenager. She spends the movie, leading up to that love-declaration, treating him like a mother treats her child. She advises him when he lets out frustrations about Obi Wan. She acts impressed when he does a trick with the force. She laughs at his bad jokes. But there’s no indication of love. When he kisses her she pulls away. When he tells her he loves her she rebuffs him. When he tells her that he murdered everyone—including women and children—at a Tuscan Raider camp, she looks mortified. But half an hour later they’re giggling together about to go on a Obi Wan rescue mission and the next thing you know she’s all “I’ve always loved you!” and we’re just supposed to accept it. Why? Because they have to fall in love. The plot demands it. Han and Leia’s “I love you” / “I know” was earned. They had a true flirtatious rivalry going on throughout Empire. You could tell, by the strength of the screenplay and direction, that she loved Han just as much as he loved her, but she never wanted to admit it because she didn’t want to give the smug pirate the satisfaction. Han meanwhile clearly loved Leia but was too macho to just own up to it, so he settled for bravado and trying to woo her like a tough guy. Everyone knew they’d end up together, it was just a matter of something serious happening to make them confess their feelings. Han being lowered into the carbon-freezing chamber was the moment, so when the “I love you” came, it was earned. There’s nothing like that in Attack of the Clones. It tries to recreate it, but Anakin is not Han. He comes off as an emotionally immature teenager (which he was). Padme is also no Leia. Whereas Leia was strong, independent and frequently acted on her own (causing Han to react to her), Padme is an empty character, lacking direction or purpose unless she’s responding to another Anakin feeler. Her one time to take action and force Anakin to respond to her comes as she makes the decision to leave Tatooine to go help Obi Wan, but even in that case she was simply making the decision that Anakin wanted to make but was too scared to. The movie tries to be serious like its sister-film, Empire, but it falls on its face because (1) we don’t care about the characters, and (2) the acting is so poor it’s impossible to take any of the serious stuff seriously. That doesn’t even touch on how abysmal the “silly” parts are. Watching 3PO’s shoddy-CGI trek through the droid factory (complete with non-stop odious one-liners) is the single worst sequence in the entire saga. Speaking of the droid factory, let’s talk about how utterly wasted the entire “Clone Wars” is. In A New Hope the wars are given only a passing mention. Two, actually: Leia says that Obi Wan served with her father in the “Clone Wars” and then later Luke asks about Obi Wan fighting in the “Clone Wars.” And to that Obi Wan says “yes I was a Jedi Knight the same as your father” which sort of makes the whole idea of the Jedi Knights into soldiers who fought (you know, like actual knights) in a war, presumably against clones. It was just sci-fi sounding enough to fit in the universe, but it was vague enough that it could have meant anything. The term was never uttered again in the Original Trilogy. As it turns out, it didn’t work out. The clones ended up being the predecessors to the Storm Troopers. Now the Storm Troopers were, in the Original Trilogy, designed to be this scary force of soldiers. They were faceless, essentially nameless, and operated in large masses. There was nothing special about a single Trooper; the effect was in a large group of them operating with laser efficiency (apart from their being unable to hit the broadside of a star cruiser). Turning the clones into the precursor to Storm Troopers only works when you think about it for less than ten seconds. The whole point of being clones is that they all look alike. That’s why they’re called “clones.” Making them troopers (who already look alike) was a waste. And then there’s the enemy of the clones: Robots. So you have faceless, nameless clone-troopers taking on faceless, nameless robot-troopers in an intergalactic war. Where is the drama in that? Where is the personal connection for the audience? 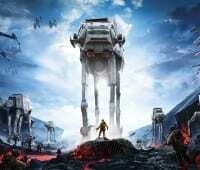 Who cares when clone trooper 162 is killed by robot 218? Remember in the opening montage of the Fellowship of the Ring film? Remember how it depicted this huge battle between the forces of Sauron and the combined armies of the free peoples of Middle Earth? That too had nameless, faceless armies going to war, but it also showed you key characters and focused on them, leaving the rest of it to the background. 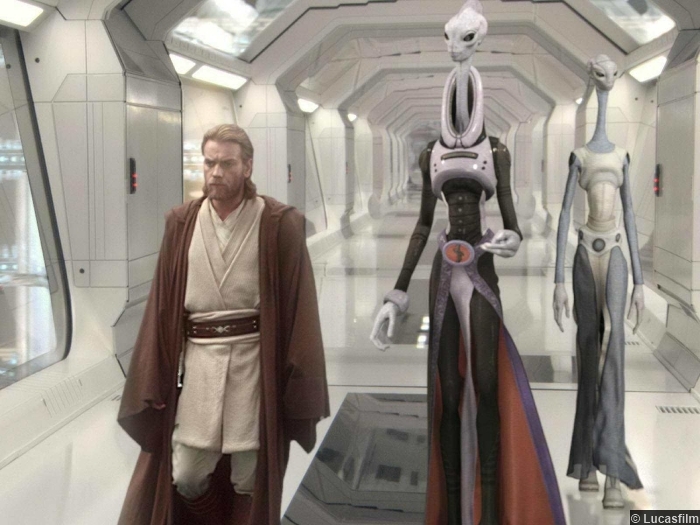 Who are the key characters in the Clone Wars? The Jedi and Dooku? During the battle Dooku just stands around, and the only Jedi we know and care about fight giant monsters. The actual “clone” part of the Clone Wars happens without any stakes, and without stakes there’s no reason to care. Which is why the final action sequence to the movie was hollow and boring, like a video game cutscene. 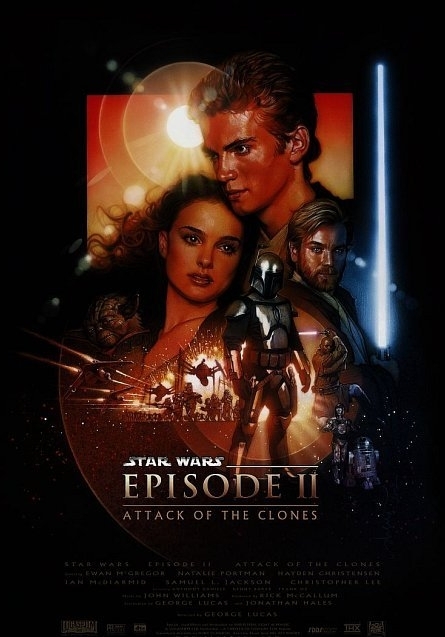 As a movie, Attack of the Clones fails due to poor acting, a weak action plot, and a romance story that lacks any believability. 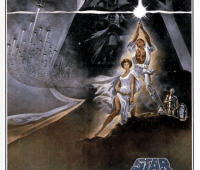 As a Star Wars movie, the film fails to make sense within its own mythology. The serious moments lack drama and the light-hearted moments fall over the cliff into sheer camp. It’s not only a poor film, it’s a poor rendition of a Star Wars movie, made in a rush, not to tell a story but to sell toys and spin a gear in the Lucasfilm business machine. Many fans looked forward to this movie’s release because they hoped the lessons from The Phantom Menace had been learned. And while Episode I may be the more disappointing movie, due to the greater hype and higher expectations attached to it, Attack of the Clones is actually a worse film. It is simply a bad movie.